Your kitchen can be one of your favorite rooms in your house. For one, it is the place where your meals come from and where you can meet for family conversations. Because it is a focal point in a home, remodeling it to fit your needs. 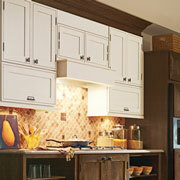 When it comes to remodeling your kitchen, your cabinets are extremely. After all, the outside of your cabinets are what people will see. 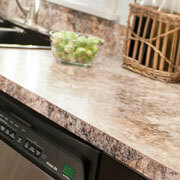 If you would like durable cabinets to accompany your kitchen’s aesthetic, ProSource has something for you. 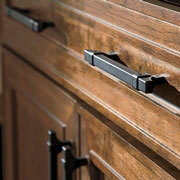 When choosing kitchen cabinetry, you will also need to determine the hardware you would like. Hardware, in this sense, refers to pieces such as knobs, handles, and pulls. Each piece can alter the look or feeling of a room dramatically. Ultimately, testing out which handle you like better is the best way to determine which one you would like for your kitchen. Your kitchen countertops are where you introduce color into your kitchen. Because they are so important in reflecting the color and overall feeling of your kitchen, it is important that you review all your options. At our showroom, you will be exposed to a range of countertop options. Better still, our selections of granite, marble, and recycled material countertop options will last a lifetime and remain durable throughout years of use. Nothing is worse than a sink that is too small and too shallow. For one, dishes pile up faster than you think. And, if you have a large family, washing the dishes in a small sink can become a trial. 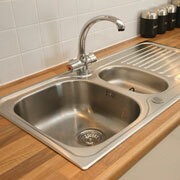 If you are interested in remodeling your sink to be more useful, visit our showroom. If you are getting new features, such as a sink, you will most likely need a new faucet. 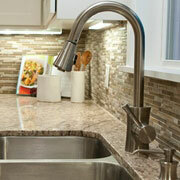 In your kitchen, your faucet will be the most used object in your kitchen. Because of this, you want to ensure a fixture that is both beautiful as it is functional.